Every new leader has his or her own style. Some are open and gregarious. Some are micromanagers. Some are dictators. Donald Trump appears to be private. At least about some things. And to the mainstream media posse that follows around the president-elect, and/or the president himself, that privacy is a barrier to them doing their jobs. Supposedly. 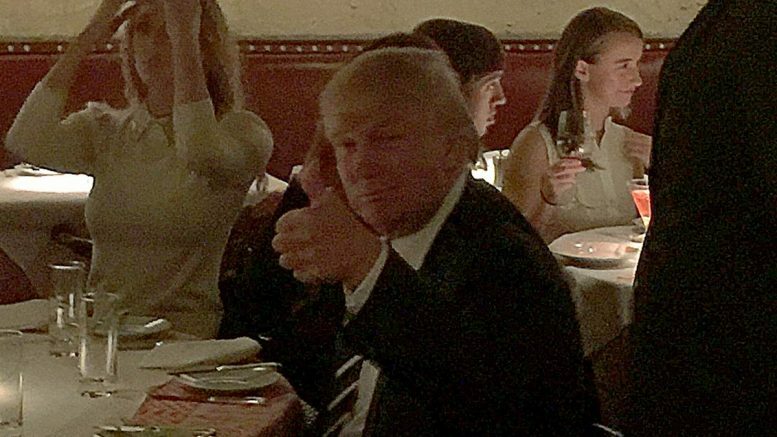 Trump and the family went to the 21 Club in New York City for dinner – and they ditched the press. Most Americans would be chuckling under their breaths at giving the media the slip. Really, does every detail of the man’s life HAVE to be broadcast to the world? According to the people who follow the president around, yes. However, Donald Trump has other ideas and the press is not amused by them. On the campaign trail, they were not permitted on his plane, and routinely Trump has decried the way in which facts and events were reported. This is setting up a contentious relationship that will undoubtedly continue when the man moves into the White House. At this point, the mainstream media is smarting due to inattention, actually, which could be adding to the rancor. Trump has not held a press conference since summer, and there has not been one mention of when he might hold a presser in the future. Previous president-elects have at least held press conferences. The Trump camp does not seem inclined to do so any time in the future. Many of us out here on the fruited plain are anxious to actually see a Trump press conference once he’s in office. The media’s big word on administrations fawning over them is “transparency.” The complaints are already starting that Trump is setting up the least transparent administration in modern memory (they seem to forget Helen Thomas taking apart of Obama’s press secretaries on that score), and all the man wanted to do was take his family to dinner. WATCH: Judge Judy Sending Tape of an Obama Supporter to Congress!